A diverse menu combining influences from around the globe is prepared in the old projection room, while classic cocktails and retro tunes are served in the former refreshment lounge, now a cosy bar complete with fireplace. With a focus on local producers, AVALON showcases more than 80 Australian wines and craft beers to try. Local musicians perform each week in the dining room at the popular Friday Supper Club, and there’s a calendar of special events to entertain. The style of service is casual and friendly. Fully licensed and BYO (wine only). Serving the Blue Mountains for almost 30 years, AVALON is a local institution... a favourite dining venue for our regulars, and must-visit destination for visitors. The quickest way to reserve a table at Avalon is online, using this calendar. 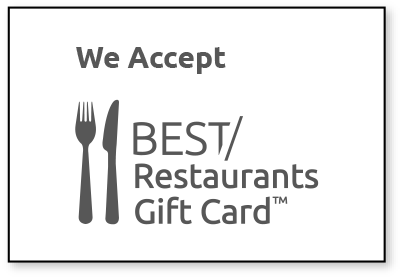 Follow the simple three-step process and receive instant confirmation. Avalon presents the Friday Supper Club. Join us for live music, hearty meals and classic cocktails, every Friday night. Yuki Kumagai and John Mackie play and sing smooth jazz, a popular mix of jazz standards and some latin hits. Yuki sings and plays piano, flute , harmonica and ukulele, while John plays guitar and saxophone. Yuki and John perform around Sydney in clubs and jazz clubs, on cruise ships, and have performed at the Sydney Opera House, the Manly Jazz Festival and many other music festivals. Join us for a creative night out, while you paint, sip and graze your way to creating your very own masterpiece to take home. An experienced instructor from Pinot and Picasso will walk you though the steps involved in painting the iconic Three Sisters on canvas, while you enjoy a delicious assortment of grazing plates and canapés, and sip a glass or two of your favourite drop. Avalon presents the Friday Supper Club. Join us for live music, hearty meals and classic cocktails, every Friday night. This week The Orchard Boat will provide the music to dine to. The Orchard Boat are Rob Weule and Beejhan (Bj) Goodfellow taking their gypsy guitar and accordion on a musical adventure through the Jazz, Irish, French, Celtic and Quirky Pop music scene featuring stunning instrumentals and sublime vocal harmonies. Avalon presents the Friday Supper Club. Join us for live music, hearty meals and classic cocktails, every Friday night. This week Kate Woolfe Trio will provide the music to dine to, featuring the smooth vocals of Kate Woolfe, Tim Bruer on piano and Dave Clayton on upright bass. DJ Old Spice returns with his all-vinyl musical journey through soul, funk, latin, disco and reggae grooves from the '60s and '70s, with The Rhythm Lounge. Held on the second Saturday of the month, in 'extended play' from 7pm until late, in the cosy Avalon Cocktail Lounge, expect a blend of mellow tunes, ideal for having a cheeky cocktail and a chat, to tracks that will make you want to get up and boogie. Spoil mum this Mother's Day with a Sparkling High Tea in our fabulous art-deco dining room, with live music provided by Kate Woolfe and Tim Hans. Avalon presents the Friday Supper Club. Join us for live music, hearty meals & classic cocktails, every Friday night. This week Frazer, Ireland & Russell will provide the music-to-dine to, featuring the soulful vocals of Kristina Frazer, with Andrew Russell on guitar and Andrew Ireland on upright bass. The Art of Lunch is a feast for all the senses set to occur on the last Sunday of each month at multiple restaurants and galleries throughout the Blue Mountains between May and October. Each Art of Lunch event combines a delectable menu, an exhibition opened by a local artist and a 30 minute live music performance delivered in a concert atmosphere. Avalon presents the Friday Supper Club. Join us for live music, hearty meals & classic cocktails, every Friday night. This week's music to dine to will be provided by Hot Club de Katoomba. Australian violinist Simon Watts (String Theories, Skarrat & Watts) and French singer/guitarist Julien Clement (Belle Jar, Julien Joel Clement) team up for an evening of classic French chansons and an assortment of Hot Club swing jazz in the style of Django Reinhardt and Stephane Grappelli. Avalon presents the Friday Supper Club. Join us for live music, hearty meals & classic cocktails, every Friday night. This week we welcome back the sensational Willem Sherlock Roorda. Deeply soulful, Willem offers jazz and blues delivered with a cheeky side of playfulness. Sit back, relax, tap your feet and smile. Unleash your inner Picasso as an instructor guides you though creating your own masterpiece. No artistic ability required! AVALON offers a diverse menu of hearty meals, combining influences from around the globe, from Europe to Asia and Modern Australia. Our drinks list showcases more than 80 Australian wines, spirits and craft beers to try, with a focus on local producers. Along with our daily specials of new dishes to try, our main menu is well established, and so loved by our guests that we've hardly changed it in 29 years... We wouldn't dare! Many of our dishes can be prepared gluten free, however we cannot guarantee no traces of gluten. Our menu contains allergens and is prepared in a kitchen that handles nuts, shellfish, sesame and gluten. Whilst all reasonable efforts are taken to accommodate guest dietary needs, we cannot guarantee that our food will be allergen free. We cordially invite you to partake in our fabulous old-fashioned High Tea, served every weekend from 12 o'Clock. It's tea time at the Avalon and we've been busy putting together a delectable selection of savouries, scones and our most fabulous desserts for you to enjoy in our fabulous surroundings. Start your High Tea with a cheeky glass of bubbles, followed by a tasty selection of savouries, fluffy lemonade scones topped with lashings of jam and cream, and mini desserts, served on a fancy triple tiered plate. Choose from a selection of local teas or coffee. 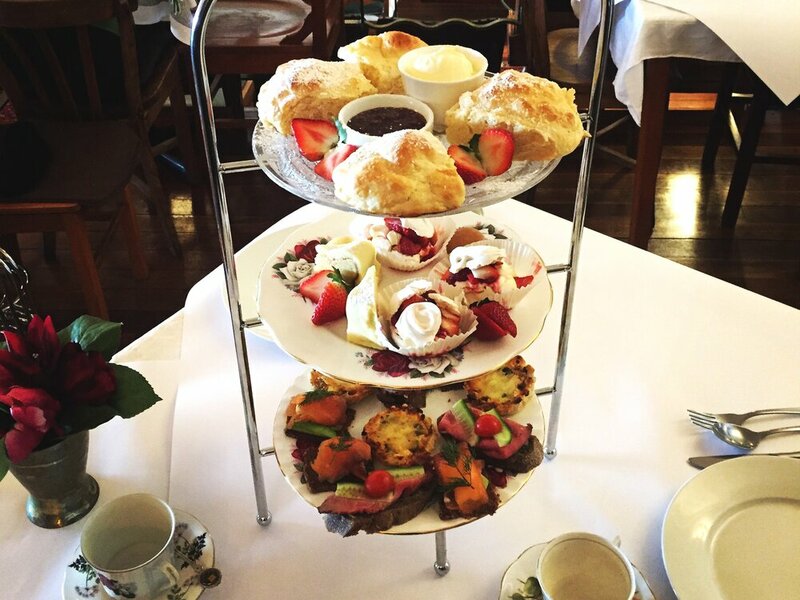 High Tea is served in our charming art-deco dining room with lovely views over Leura and the Jamison Valley. BOOKING POLICY: Pre-payment is required for High Tea bookings of 10 people or less. A 50% deposit is required for groups of 10 plus. Refunds will not be given for booking cancellations with less than 48 hours notice, or for no-shows on the day. Please notify us of any dietary requirements e.g. gluten free, vegetarian at the time of booking. Sorry, we cannot cater for vegan/dairy free High Tea. Wondering what the future holds, or just looking for some guidance? Add a little mysticism to your High Tea experience with an authentic tarot reading by psychic Matthew. A Blue Mountains local, Matthew has more than 10 years experience and specialises in tarot card reading, numerology, medium and channeling. Book a 30 minute reading with Matthew for $45. Available Saturdays from 12pm by appointment. Minimum of two readings per booking. To reserve your table call 02 4782 5532 or complete the online reservations form.